New Product Launch for Mini-U bathtime! Our new 6 pack bath bomb has arrived! 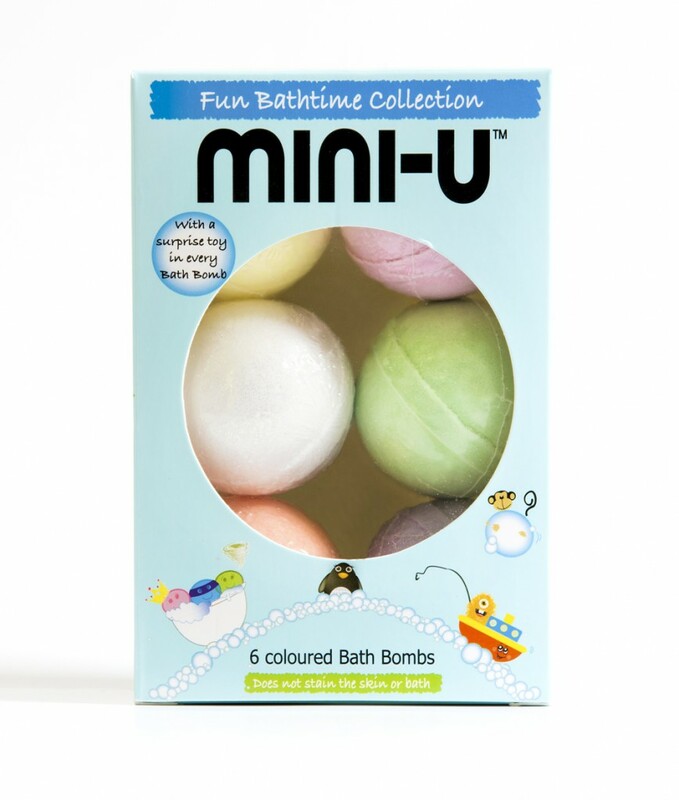 We are very pleased to welcome another new addition to the Mini-U bathtime collection! After many requests for the family favourites to be sold as a set, here you have it, our 6 pack bath bombs! Bringing the whole crew together in one bumper pack, this is a purchase that should keep everyone happy, even your wallet at just £7.99! With hidden sponge toy surprise in every bath bomb! The pack bath bomb adds a splash of FUN to bathtime and is a great way to encourage kids into the bath. If your looking for a chocolate free Easter then our 6 pack bath bomb makes the perfect alternative!